On January 3, 2019, Cerner and CoverMyMeds formed a partnership “to integrate patient-specific information into the electronichealth record (EHR) for providers to review prescription pricing information with their patients at the point of care.” Cerner is a major EHR vendor for health systems across the country. CoverMyMeds offers a software platform in which providers can submit electronic drug prior authorization requests. This new functionality is designed to assist physicians in having a conscientious conversation about drug costs with their patients. The intent is to empower the patient to understand drug costs relative to their care. This represents a shift in practice for providers, as the old paradigm was based on prescribing without the knowledge or understanding of drug cost. High prescription costs can be a barrier to patients obtaining medications which leads to adherence issues. This effort signifies a movement towards greater price transparency which is gaining momentum within the healthcare industry due to the continuous rise of prescription drug costs. 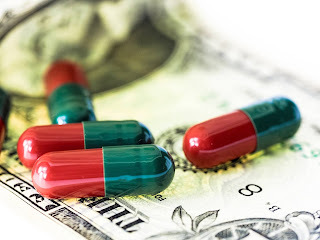 Although the clinical merits of a drug are paramount, price and economics are essential components of overall drug therapy and can’t be left out of the equation. The chief client officer of Cerner, John Peterzalek, states that “as health care spending increases, the need for prescription price transparency is becoming as important as ever. Access to valuable pricing information gives health care providers the opportunity to provide their patients with up-to-date information on the most appropriate and cost-effective medications before they reach the pharmacy.” Now, at the point of prescribing rather than at the pharmacy point of sale, providers have access to vital patient-specific drug cost information. A drug’s clinical efficacy in tandem with its cost-effectiveness should exist in a symbiotic relationship leading to optimal therapeutic outcomes.